Posted in: Radio Control, Traxxas. Tagged: New Releases, RC. 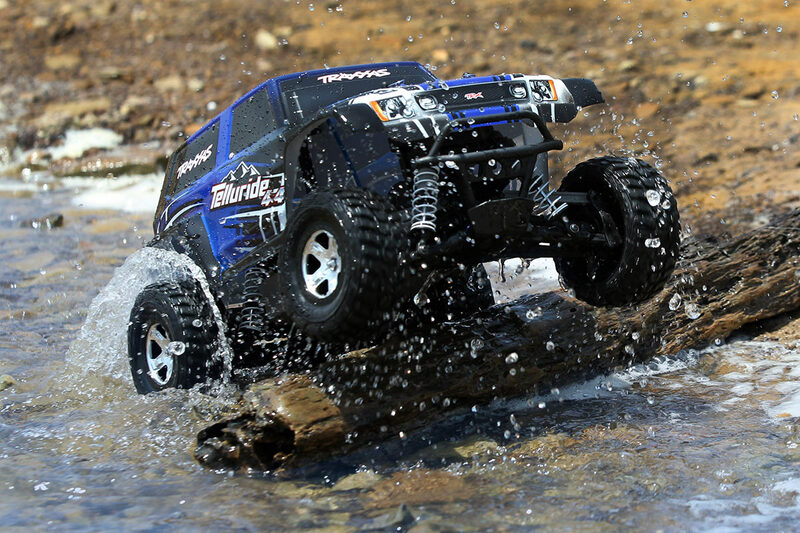 The Traxxas Telluride 4X4 is a 1/10 Scale Extreme Terrain 4X4 Trail Rig and this new edition to the Traxxas lineup is creating a lot of buzz. The Telluride comes fully assembled and Ready-To-Race with a top speed of over 30mph and is designed for extreme terrain. Some of the features include the Titan 12T motor with 48 pitch gears, Waterproof electronics, a sharp looking ProGraphix multi-colored painted body, TQ 2.4GHz 2-channel radio system and a 7-cell Traxxas battery pack and charger. I wonder why the Titan 550 found the E-Maxx and 32p gears weren’t used in this rig; I fear a 4×4 may burn out the 12t motor. 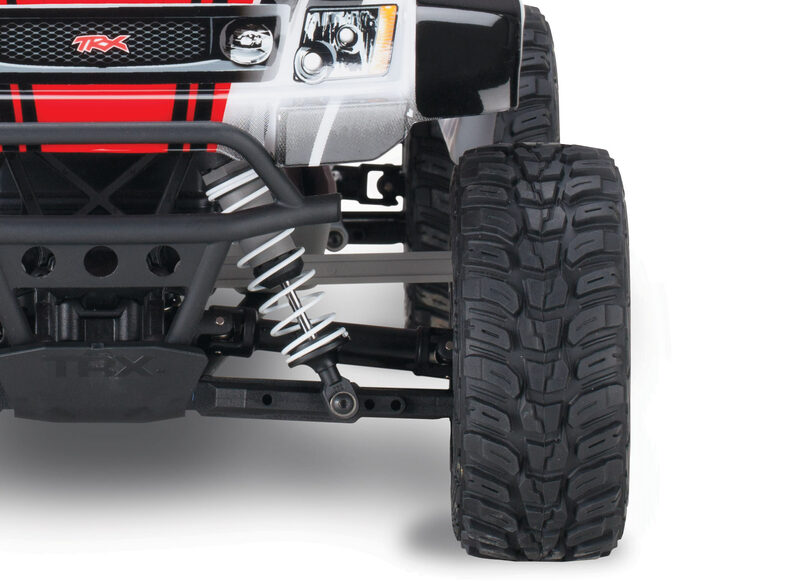 It also appears to have plastic camber links, small toe links and this “Extreme Terrain” vehicle doesn’t come with shock guards. What you need to remember here is the price point is $299.99, that is a great price for a 4×4 RTR vehicle. It also comes with the new TQ 2.4ghz transmitter. Motors, gears, toe and camber links will be easy fixes should they prove to be problem. 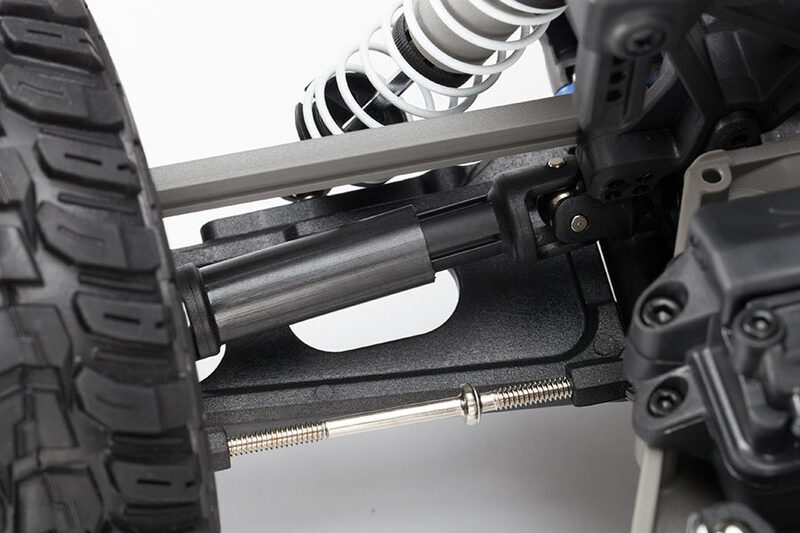 Traxxas stands behind their products and they also have un-matched aftermarket product support and availability. I think this may be a solid entry level product with lots of room for modification/customization and how can you not like the name Telluride. The Telluride is expected to be in stores August 22.